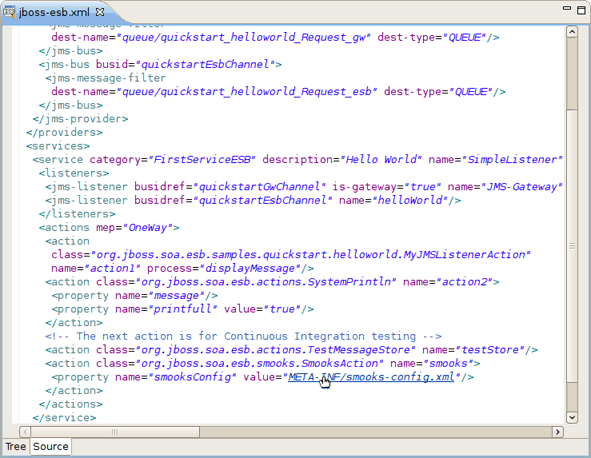 ESB files come with the OpenOn feature that allows you to utilize multiple references in the file. Click and hold the Ctrl key down to view it. The OpenOn is implemented for different types of files with extensions such as .xsd .xml, and so on.